ZLYJ series 132mm twin extruder extruder are high precision hardening tooth flank transmission part with thrust bearing housing. They are designed for plastic screw-rod extruder according to ZBJ19009-88. 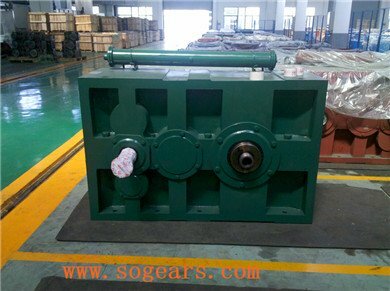 The gears and axes are made of high strength alloy steel. 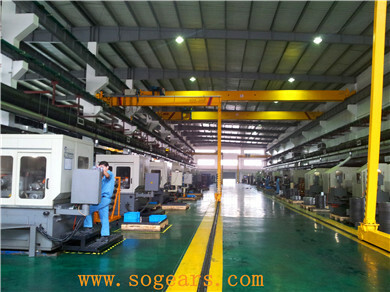 The gears are manufactured by way of carburizing hardening, precision grinding. Its precision is up to Grade 6(GB10095-88). Hardness of tooth flank is HRC54-62. 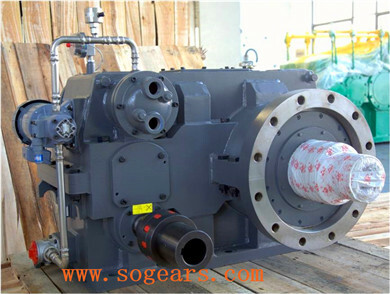 Thrust bearing is in front of output hollow shaft to accommodate screw-rod back pressure forces. 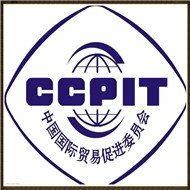 Bearings, oil seals and some other standard units are quality products and they can also be imported goods to meet customers' requirements. This kind of speed reducer has the characteristic of small volume, high load capacity, stable transmission, low noise, high efficiency. They properties reach levels of foreign products of the same kind and it can take place of them. 1. 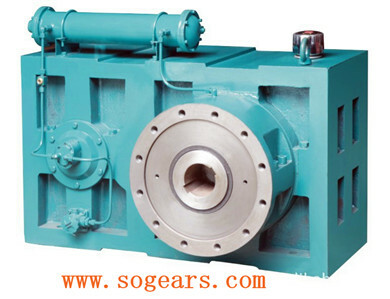 ZLYJ series 132mm twin extruder extruder is a transmission part that possesses high precision hard gear surface and thrust block designed for plastic screw extruder.